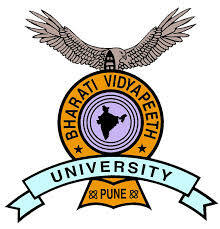 Bharati Vidyapeeth Deemed University Medical College & Hospital, Sangli is one of the top medical Universities in India, which offers programs and courses for various educational domains. With state of the art Infrastructure facilities, high-tech learning facilities and highly educated faculty members, the university is probably known for providing quality education and helps to raise the creativity level of the students. Bharati Vidyapeeth University Medical College, Sangli aims to provide 100 percent placements for students.University Grant Commission [UGC] has approved it and also it has been accredited by National Assessment and Accreditation Council [NAAC] with ‘A’ Grade. The University is recognized by Concerned Apex Bodies in India like Medical Council of India [MCI], All India Council for Technical Education [AICTE], Pharmacy Council of India and Bar Council of India [BCI]. The University provides admission on merit-based criteria, the candidate has to give MED PET examination and the application for the examination can be download Online or Offline. The candidate has to download the application form the University website by clicking on the “CET Registration”. It can also be obtained by asking in the administrative office of the University. The amount is around Rs 200/- to Rs 400/-. This variation in the fees for application form differs according to the undergraduate and postgraduate courses. Six latest passport size photos and all the attested documents should have to submit to the administrative office of the University. The candidate has to attach a Demand Draft of Rs 3000/- as the application fees. The address is given on the official website of the University. The candidate should have passed 10+2 from a recognised university or board. Candidate should have a degree of Bachelor of Homeopathic Medicine and Surgery [BHMS]. The candidates must have done MBBS approved by Medical Council of India. The candidate must have done Bachelor of Dental Science [BDS] for a recognised university. The candidates should also do 1-year work experience in the internship. Candidates from national and international countries take admission in Bharati Vidyapeeth Deemed University Medical College & Hospital Sangli in Management Quota criteria. As the institutions take a keen interest in the careers of every student, they gave each student a chance for developing a better career for themselves. And that’s why the institutions provide admissions in management quota. The candidates must have provided a certain amount of donation for the fund of Bharati Vidyapeeth trust. The university provides personality development classes and soft skill classes for the students. They build a stage for the students to develop and mould their skills to face the harsh corporate world. To know about admission procedure or get direct admission in Bharati Vidyapeeth Deemed University Medical College through Management Quota, call us on 07406010001.